Do you regularly send out forms and then spend hours rekeying the returned information back into MatterSphere? 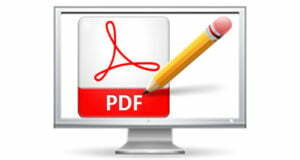 Fusion can help you create an email-able PDF version of the form. The client can then email you the completed form back and the MatterSphere PDF Importer will import the writable fields within that PDF into MatterSphere – saving you considerable time and eliminating clerical errors.